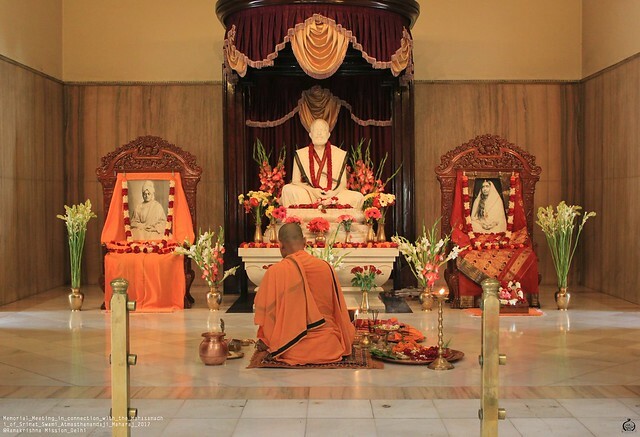 In connection with the Mahasamadhi of Srimat Swami Atmasthanandaji Maharaj, President, Ramakrishna Math and Ramakrishna Mission on 18th June 2017, a programme was organised on Friday, the 30th June, 2017 starting with Puja in the Temple and ending with a Public Meeting on that day. 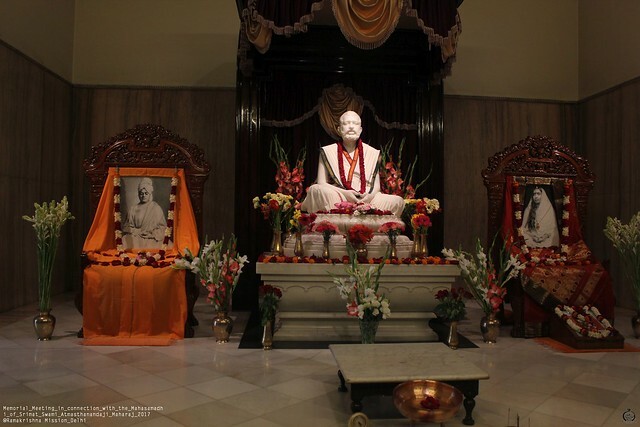 Puja was done by Swami Amritapurnanandaji Maharaj . 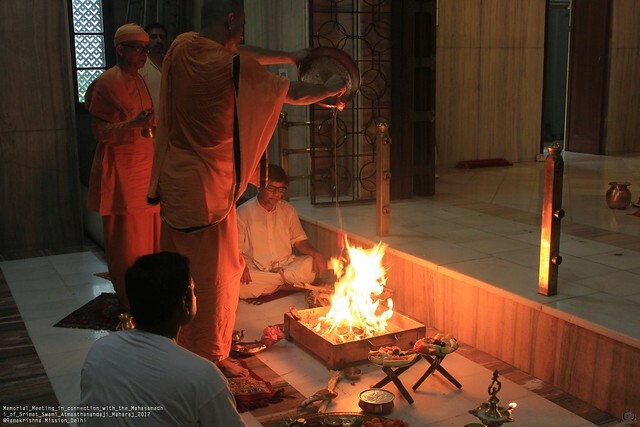 After the puja, havan was also done by Swami Amritapurnanandaji and the Revered Secretary Maharaj acted as tantradharak. 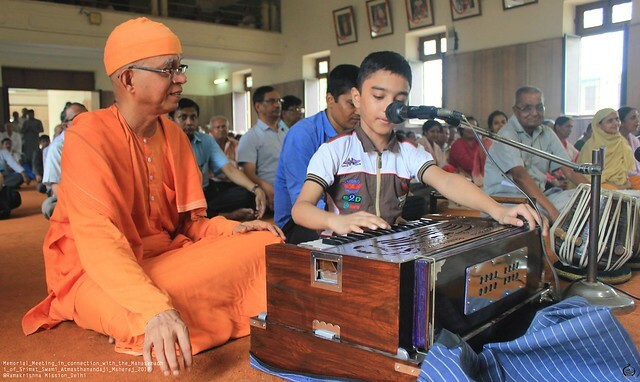 After havan Master Chirag Pramanik, son of Raj Gopal, rendered two devotional songs playing the harmonium followed by two devotional songs by Revered Secretary Maharaj. 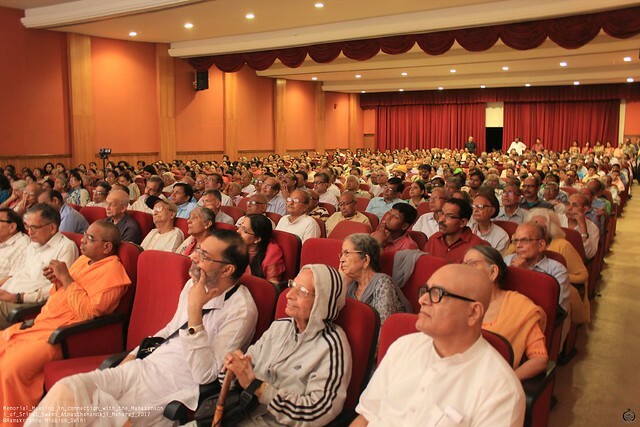 After the puja, the Public Meeting held in the Vivekananda Auditorium with Shri L.N. 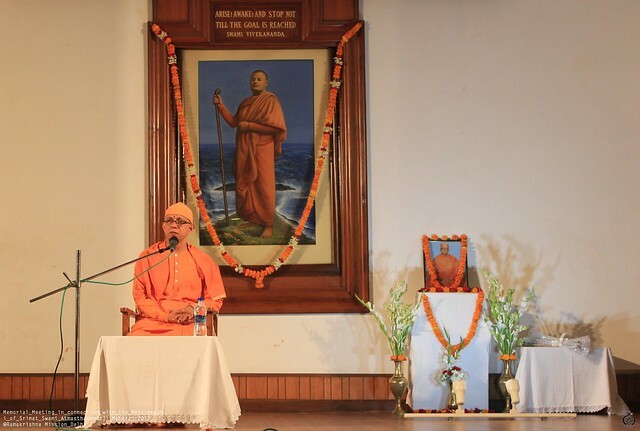 Jhunjhunwala as the first speaker followed by Shri Gurudas Chatterjee. 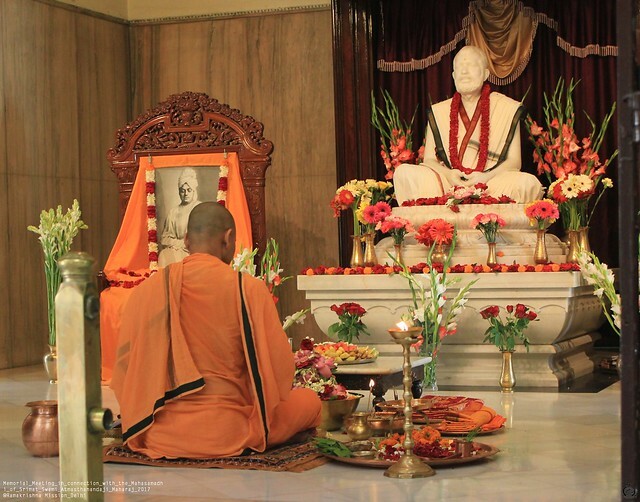 Then Shri R.L. 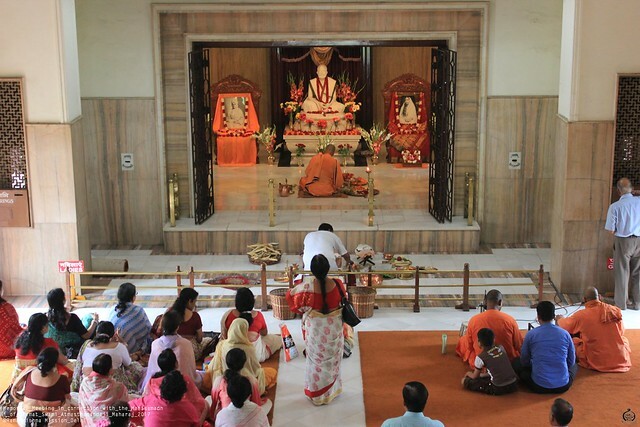 Handa, a devotee and Managing Committee Member, who was in the Meeting was asked to speak. 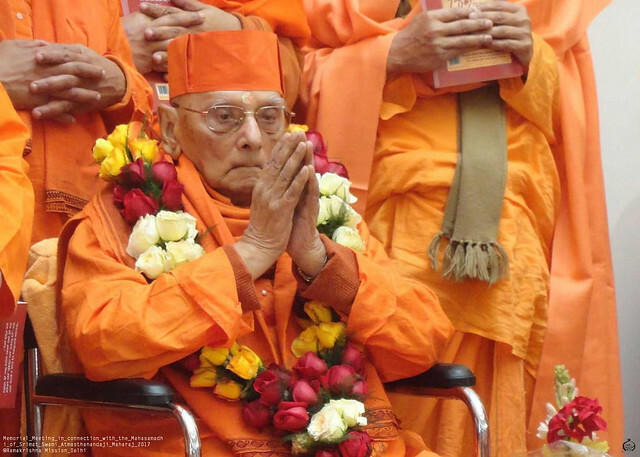 Accordingly Shri Handa spoke for a few minutes. 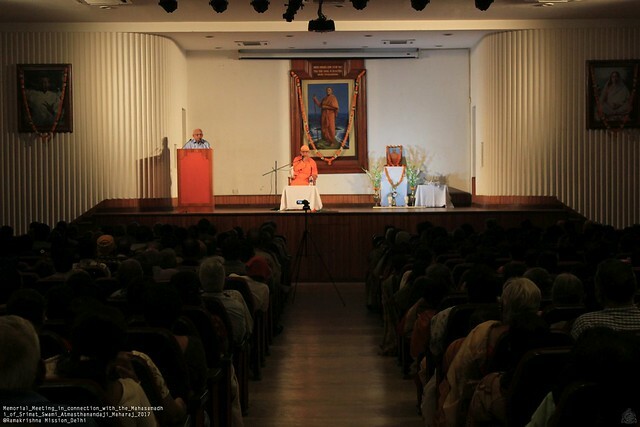 Then Shri Arun Dey spoke followed by Shri E.V.N. 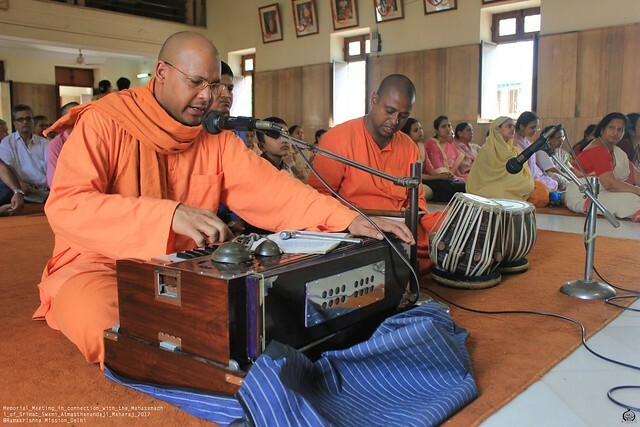 Chari. 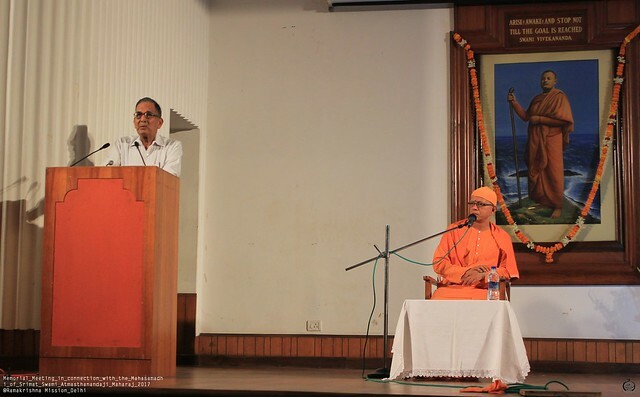 At the end Revered Secretary Maharaj spoke about Srimat Swami Atmasthanandaji in a detailed manner. 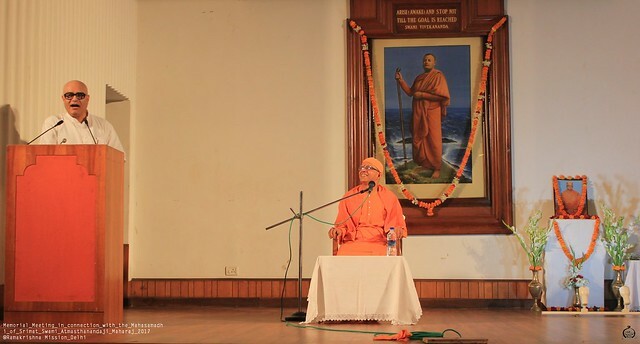 The programme ended with the rendering of “Ramakrishna Sharanam…” by all in the Auditorium led by Revered Secretary Maharaj. 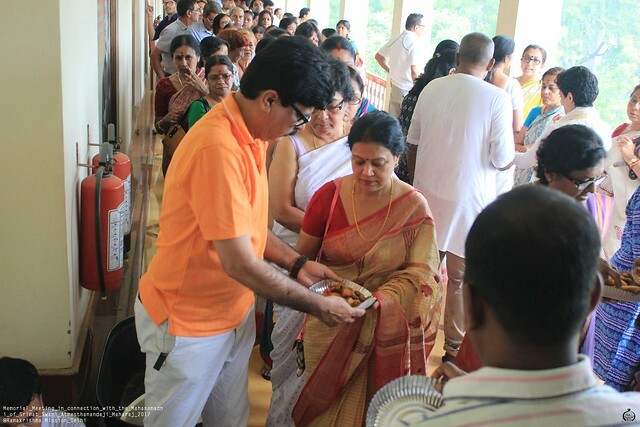 The Public Meeting ended at 12 Noon as scheduled and later Prasad was distributed to the devotees.